In the past decade, the world of consumer robotics has experienced a lot of attention. While we're a long way away from robotic maids and butlers, innovative new products are released every year that bring us closer to a future where robotic assistance for everyday tasks will be the norm. 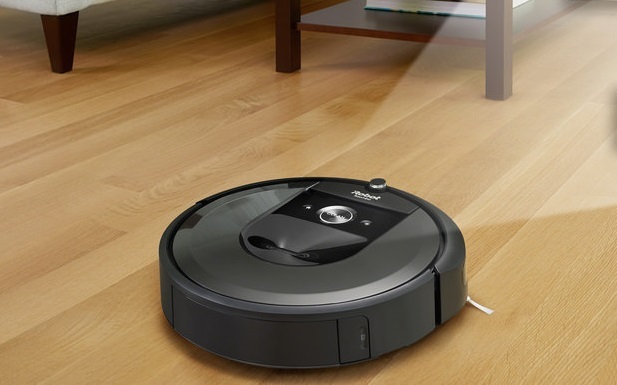 One such product is the Neato Botvac D5 Connected vacuuming robot, and we've taken the time to research this model to see if it lives up to the hype. What is the Botvac D5 Connected? 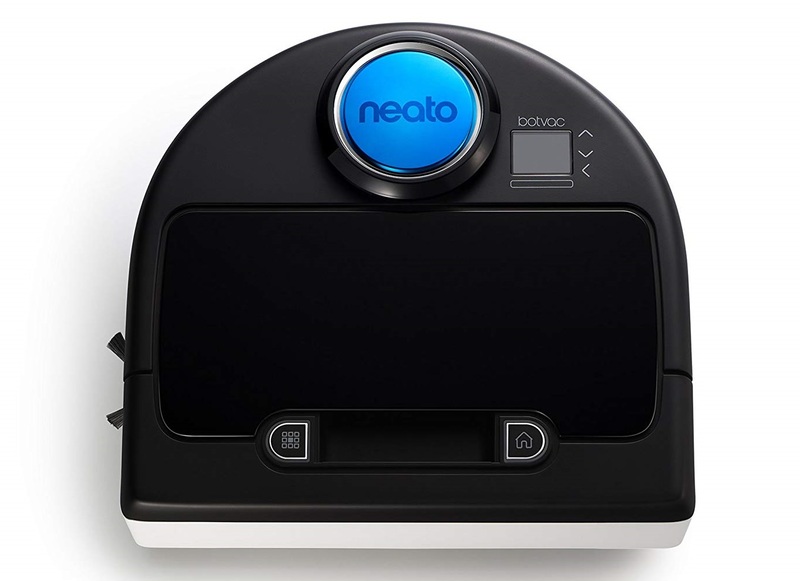 The Neato Botvac D5 Connected is one of the newest models of autonomous vacuuming robots on the market. 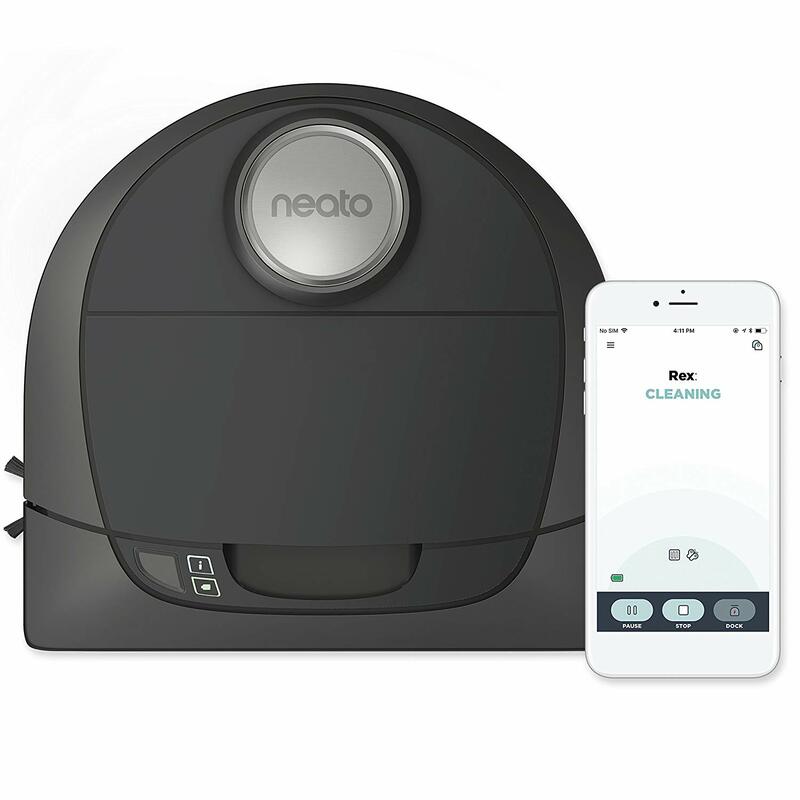 Like other autonomous vacuums, the Neato Botvac D5 is a robot that vacuums up dust, dirt, allergens, and other small debris found around the home. Its low vertical profile allows it to navigate under furniture that other vacuum cleaners typically can't reach without special attachments, and it works on carpet, tile, and wood. 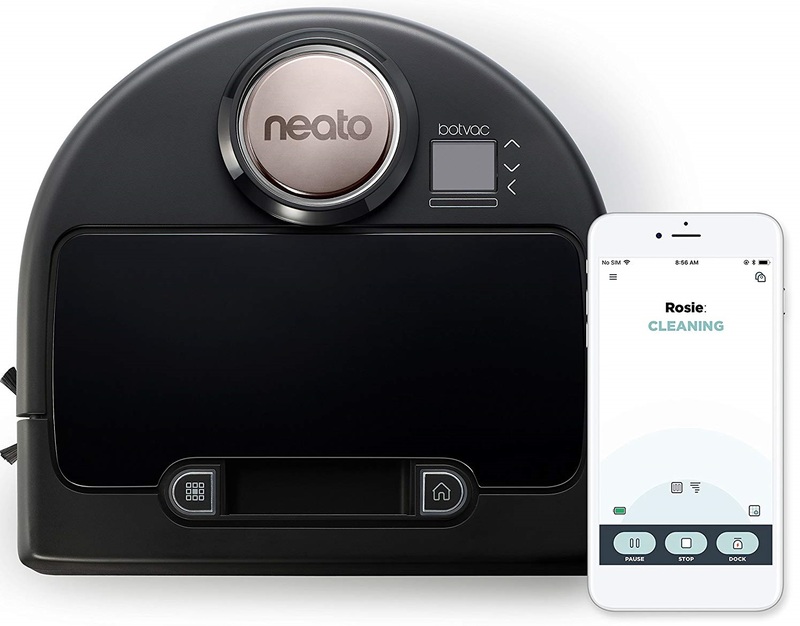 The Neato Botvac D5 features proprietary LaserSmart technology that the manufacturer says allows the D5 to vacuum 4500 square feet per charging cycle. It also features a D-chassis design, letting the Neato Botvac D5 get closer to walls and corners than other, more common O-chassis models we're used to seeing. You can purchase the Neato Botvac D5 from the manufacturer's website as well as other online retailers such as Amazon. Depending on where you're shopping, you can expect to pay about $$. The workhorse of the Neato Botvac lines of robots. The Neato Botvac D5 is one step down from the top of the line models, the Botvac D7 Connected and the Botvac Connected, but you will pay about $100 less for the D5, and it is the second most expensive model we looked at, but not by much. Prices range about $$. The whole reason for the existence of the Neato Botvac series is to make our lives easier, and on that note, it succeeds. The D5 is Wi-fi enabled, making it easily integrated into other Smart Home technology. It has one-touch activation and will continue until it has cleaned its coverage area and will return to recharge when necessary-- usually running for around 90 minutes per charge. The companion app even lets you control the D5 through Wi-Fi. The D5 comes assembled and takes minimal setup to get running. Downloading the app is quick and since it controls the D5 through Wi-Fi, pairing the app to the D5 is quick and easy. Setup may include setting up boundary markers, which takes no time at all if it's even necessary. The only thing that will take time is finding the optimal location to put the charging base. By opting for the D shape over the O shape that most robot vacuums use, the D5 can get closer to walls and inside corners where other robot vacuums can't. The side brushes sweep along the baseboards, ensuring that tight spots aren't missed, which is a small feature that has a big impact on the quality of its cleaning cycle. Real thought went into this design, and the D5 is a better robot for the effort. That said, there aren't as many features as the top-of-the-line models. 1-year limited warranty on the robot, a 6-month limited warranty on the battery. It's good to have, but it doesn't go above and beyond what is expected. Pricey. You will have to drop at least $$ no matter what. The feature-packed, top of the line Botvac robot. This is the most expensive model we reviewed, costing anywhere from $$ to $$, a $$ to $$ price increase over the D5. Several additional features help justify the added expense, but this will be a major investment for just about anyone. We reserved 5 out of 5 stars especially for this model as it is the only one we reviewed that allows you to schedule when the robot should start cleaning, making it the easiest to use of all the models on our list. ​Like the D5 and others, the robot itself comes fully assembled. 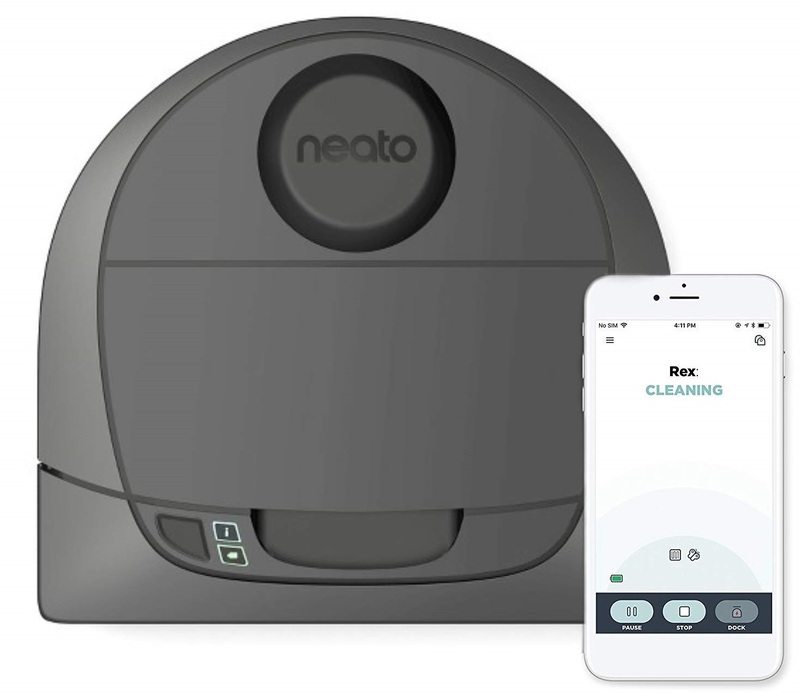 The additional set-up for the Connected that the other models we reviewed do not require comes down to having to program the cleaning schedule for the Connected, and that is fairly quick and painless if you use that feature. Otherwise, there is no difference between setting up the D5 and the Connected. Having all the advantages of the D5, the Connected also features two distinct cleaning modes: Eco and Turbo. Eco is longer running, but uses less energy and runs quieter. Turbo, like the name suggests, uses more energy to get through its work faster and run its vacuum on full power sucking up as much as possible as fast as possible. As such, Turbo mode is also much louder than Eco mode. The other major design difference between the Connected and other models is that the Connected features a digital control panel on top to control its settings, making it feel closer to the robots of our imaginations than the D5's sleek, but no-nonsense appearance. 1-year limited warranty on the robot, a 6-month limited warranty on the battery. The entry-level model for the Botvac line. The Neato Botvac D3 brings the price down to be more in line with the average budget though you will still pay about $$. Like the D5, you can activate the D3 either by pushing a button on the top of the robot or remotely through the Neato app, which makes it just as easy to use as the D5, but it loses a point for the smaller filter, which will need to be cleaned more often to keep the robot fully functioning. Same setup time as the D5. Being a lower end model, the D3 still has a lot of the design charms of the D5. 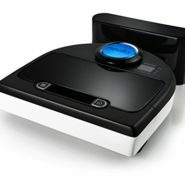 The D-chassis still makes it possible to vacuum right up to a wall and inside corners, but it lacks the side brushes that come with the D5 and Connected models. This will inevitably lead to some dust and dirt being missed along the edges of the baseboards which--while not defeating the purpose of the Botvac--means you will at some point have to go back over the area with a broom to collect anything the Botvac missed. This may be the least expensive model of Botvac, but it will still cost you hundreds of dollars, and for the money, you might feel like the D3 isn't pulling its weight if you have to clean up behind it. Also, the total area the D3 can cover on one charge is less than half that of the D5, 1800 square feet compared to 4500 square feet. The larger the space being cleaned, the further behind pace the D3 falls behind the D5. At the D5's maximum area of 4500 square feet, the D3 will take over 2.5 times as long to clean it, including recharge times between cycles. The more it has to operate on a larger area, to quicken its battery will suffer from the more frequent recharging, shortening its long-term battery life. Replacement batteries are available for purchase, but factor this additional cost into your decision making if considering the D3. However, if you have a small apartment where the square footage being covered is less than 1800 square feet, this might be a better option for you, since a lot of the features of the D5 and the Connected models will be wasted in a smaller space. An offline model packed with features. The second least expensive model reviewed, the D80 cost of $$, depending on the retailer. While the lack of Wi-Fi might be a disappointment for some, for others it will seem a fair to great trade-off considering what you get out of the D80 for this price. The D80 does not have Wi-Fi capacity, so if you want to activate it, your phone will not be any help to you. On the other hand, this model has an LCD screen which allows you to program a cleaning schedule into the robot so that you won't need to activate it each time you want it to start cleaning. The D80 is the only other model besides the top of the line Connected model to have this feature and it is a favorite of ours. You'll have to physically enter the schedule into the robot's programming using the panel, but once it's done, you can let it do its thing. The D80 also has the same side brushes like the D5 and the Connected, which means it is less likely to leave anything behind, which means less work for you. The high-performance filter means that it won't need as much cleaning as the D3 needed. The only other thing to note is that the D80 can cover about 3000 square feet on a charge, compared to the D5's 4500 square feet. The robot comes assembled, and the most time you'll likely spend setting up the robot is programming in its cleaning schedule into the onboard control panel. This is the only model of the Botvac we reviewed that looks noticeably different from the others. Where the D3, D5, and Connected models all feature black cases and dark gray accents, the Botvac D80 is downright colorful. The biggest selling point, however, is that this robot was specifically designed to capture more hair than the other models. If you have pets that shed a lot of hair, this model of Botvac is going to save you a lot of time and effort. Each of the models we reviewed had their positive features, but over-all, unless you are living in a small space and have a real problem controlling pet hair, the Neato Botvac D5 is still your best bet overall. The high end Connected model had many great features, but it is hard to justify spending almost $$ on a robot when a robot $$ - $$ cheaper does essentially the same thing. The D3 isn't powerful enough to clean anything other than an apartment and lacks some of the D5's best design elements. It came down to the D80 and the D5, but in the end, the D5 wins out. Its superb design delivers excellent results on a consistent basis, its connectivity allows it to be accessed from anywhere, and the price point, while somewhat high, isn't that much higher than the lower end D3. Shop around for the lowest price you can get, but even at its most expensive, the Neato Botvac D5 is still an exceptional value for the price.